Every business has certain norms and employees are expected to follow them. Sometimes, the guidelines are there to keep everyone safe while other times they are just routine. If you deal with heavy machinery or work in construction, then your job may sometimes have more don’ts than dos. If you work in this industry, you’ll know that it’s important not to cut corners. Not just for your own safety, but so you are also abiding by the law. You can take your chances, but you may end up paying the price for cutting corners. If there are certain rules put in place, it is then your moral duty and the duty of others around you to follow them. When rules aren’t being followed, it’s also your job to report those breaking rules. Again, not only is this for your own safety, but you also don’t want to get stuck paying fines. When using equipment, always have proper machine guarding, and wear your required equipment. Machine guarding is very important for the safety of you and those around you. While you might make it out of an accident unscathed, rotating parts, flying chips or sparks may hit your fellow co-workers and injure them. If you need safety goggles, wear them. No one wants a flying object to be lodged in their eye, causing damage to your vision and possibly your livelihood. Always steer clear of loading zones while machines are unloading. They can be unpredictable and you won’t always know what to expect from them. This goes for heavy tools as well. Employees should always have the proper training for machinery and know how to properly used equipment. Not knowing can result in possible fatalities. Wear a seatbelt when driving a car or truck on site. Wear bright and vibrant colors for higher visibility. Only operate machinery within its specified maximum load. Don’t let private citizens stand near job sites. Don’t neglect minor injuries, as they may lead to bigger complications in the future. 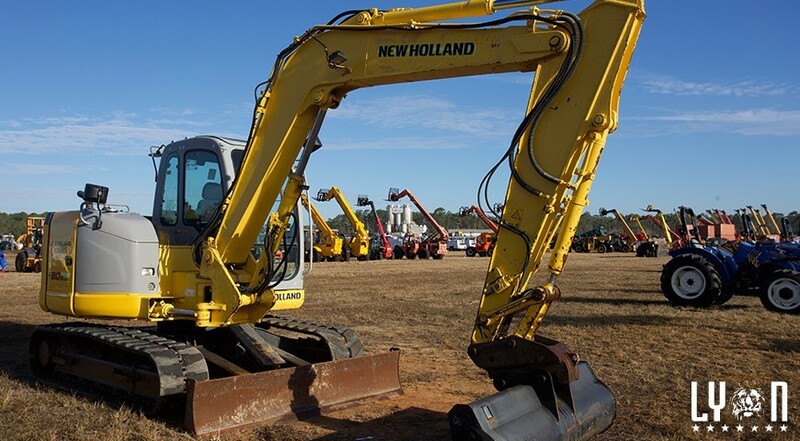 What makes Lyon Auction unique among construction auctions is that all of the equipment is in the same location. Companies are able to liquidate a large fleet of vehicles in a single place. Lyon Auction is able to help well-known companies from conception to the conclusion of an auction. This makes it headache-free and as enjoyable as possible for both the seller and buyer. If you have any questions, feel free to contact us, we’re listening!